Eliot Elementary in the North End implemented two-25 minutes recesses for their students 11 years ago. Celtics guard Isaiah Thomas and Celtics mascot, Luck the Leprechaun visited Eliot as part of the “Celtics Stay In School” Program. The Celtics’ program helps to improve attendance in the Boston Public Schools. Eliot students showed the most improved attendance in a contest. 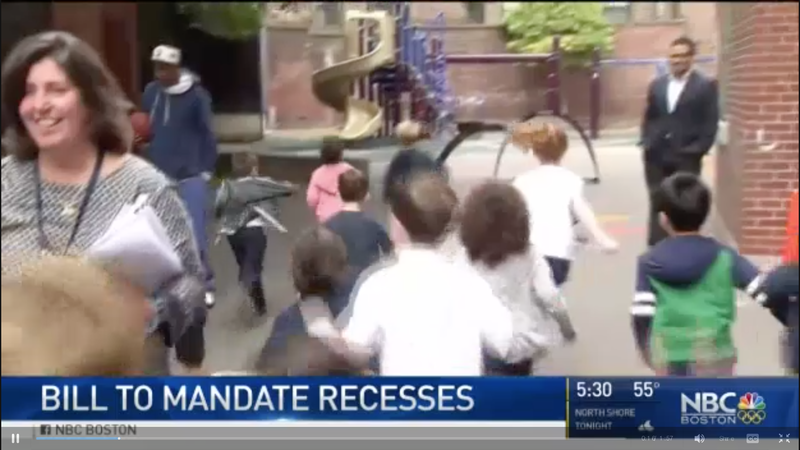 In preparation for the Boston Teacher’s Union vote on Expanded Learning Time, NBC News’ Rehema Ellis visited the Eliot School to learn about the Eliot’s model for added time. Watch the video aired on NBC’s Nightly News below. 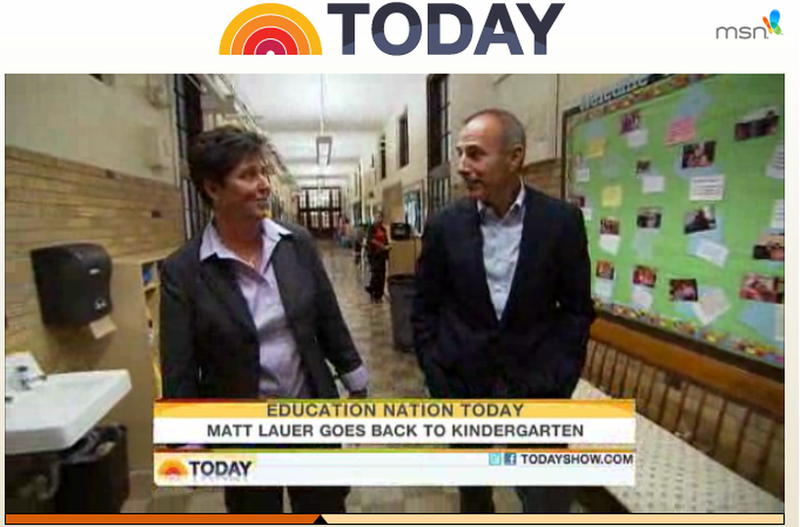 Program gives new meaning to ‘prep’ school​​​​​​​​​​​​​​​​​​​​—TODAY’s Matt Lauer visits a school in Boston that is making strides in closing the achievement gap among young students by preparing children for the routines and rituals of being a student before they even enter kindergarten. Jake Peavy and members of his Foundation team traveled to Boston, MA to launch the Focus Forward program on June 6th. Students from Eliot Innovation School had the opportunity to hear from Jake and other communities leaders on the importance of Financial Literacy and learning about your money. Then, they played Financial Jeopardy to demonstrate their newly acquired skills! Check out the special photo op they received at the end! 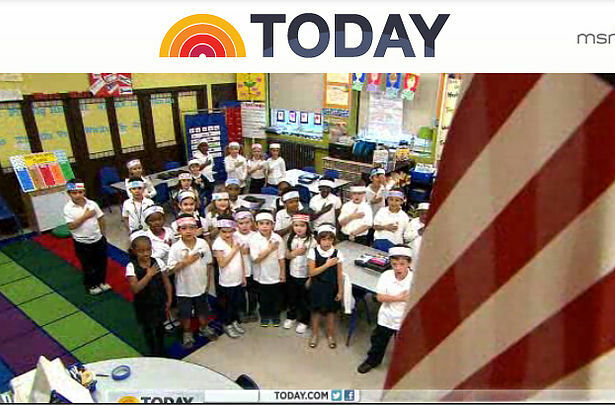 Segment aired about becoming an American citizen and features Eliot first graders performing the Pledge of Allegiance. Citizen candidates hailing from around the world – Iran and Afghanistan to Kosovo and India – reflect on what it means to officially become an American as 30 of them wait on Rockefeller Plaza for a moment they have anticipated their whole lives: becoming American citizens. 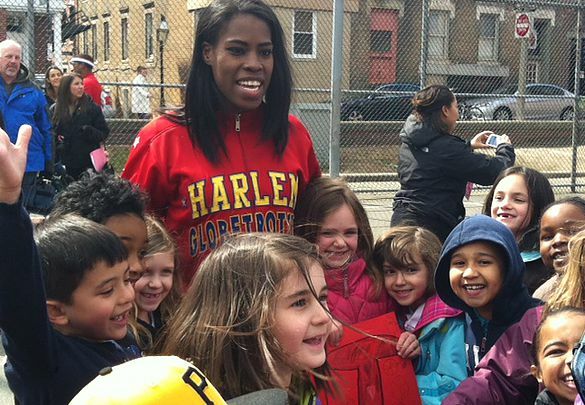 The Harlem Globetrotters visit with first-graders from the Eliot K-8 Innovation School at a North End park.